Halloween is just a round the corner and along with the frightful holiday comes some interesting songs, one of which is Michael Jackson’s Thriller. Now (via Vital Thrills) IMAX and the estate of Michael Jackson have announced they are partnering up to release the digitally remastered 3D version of the iconic music video. Michael Jackson’s Thriller 3D will be released on September 21 in IMAX theatres, only in the US and Canada, ahead of showings of Amblin’s The House with a Clock in Its Walls. The release of Thriller 3D will be limited to only one week. Check out the official music video in the player below! The music video for Jackson’s iconic song was directed by big time Hollywood director John Landis and written by Landis and Jackson. Optimum Productions has partnered with Landis to remaster the original film and upgrade the original score and music to 5.7, 7.1 and Atmos standards to make sure Thriller is of the highest quality. Thriller was then handed off to IMAX to be upgraded digitally to be optimized fully in IMAX theaters. From the Thriller album, the song of the same name was performed by Jackson, but the lyrics and music were written by Rod Temperton. The music video was released in 1983 at AVCO Theatre in Los Angeles and was sold out for three weeks straight. 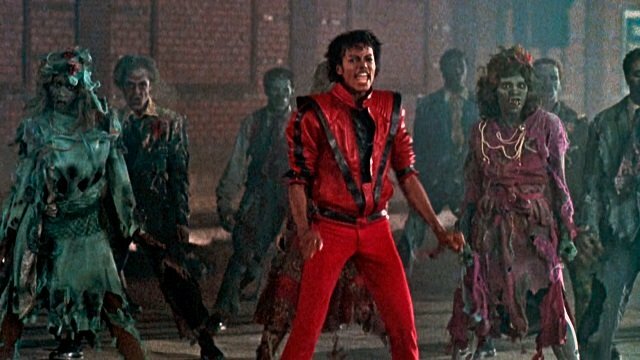 Due to it’s humongous populartiy, Thriller is the only music video to be inducted into National Film Registry by the Library of Congress. The post Michael Jackson’s Thriller To Be Released in IMAX 3D appeared first on ComingSoon.net.